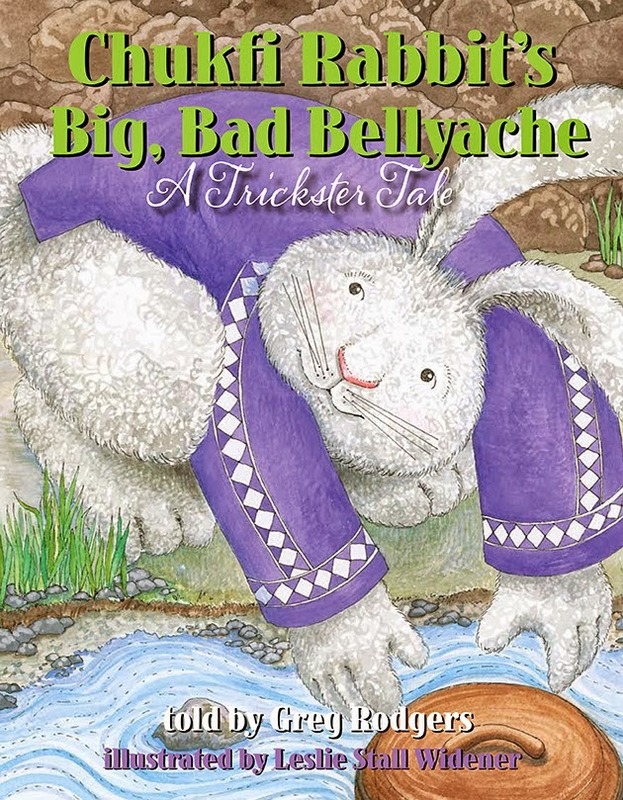 Jan. 27 Designated Multicultural Children's Book Day by Claire Kirch from Publishers Weekly. Peek: "The mission of MCCBD, co-founders Wenjen and Budayr explained to PW, is to “not only raise awareness for the kid’s books that celebrate diversity, but to get more of these types of books into classrooms and libraries." Diversity in Single Serving Slices by Day Al-Mohamed from Disability in Kidlit. Peek: "People are perceived as being gay or autistic or black and usually one of those identities is the 'defining' one. If we are already seeing the 'real world' in this sort of compartmentalization, seeing it in fiction becomes a natural outgrowth of these assumptions." Creating Unforgettable Characters by Kathleen McCleary from Writer Unboxed. Peek: "The story lies in how those inborn personality traits lead characters to make choices that shape the events of their lives and, in turn, how events work with temperament to shape character." Reasons My Son Is Crying: Writing Edition by Cory McCarthy from Through the Tollbooth. Peek: "Dearest lovely writer friends, my wish for this holiday season is that we can all be proud of what we’ve written no matter how fancy everyone else’s writing might seem." The Fiction Puzzle by Brian Yansky from Brian's Blog: Writer Talk. Peek: "No matter how long you’ve been writing, you can always get better if you keep fighting to find new ways to improve your skills." Four Logic Problems That Will Ruin Your Day (and Your Manuscript) by Harrison Demchick from Writers Helping Writers. Peek: "Logic problems remove readers from the world you’ve created. They take from you your narrative authority. They undercut conflict and tension. And if not identified and fixed, they will ruin your manuscript." "We already miss you more than you will ever know, Brother Greg. Too soon, you left us staggering far too soon. But we forgive you, on the sole condition that you work your magic through the fingers of young Choctaw writers, doing their best to continue your work." 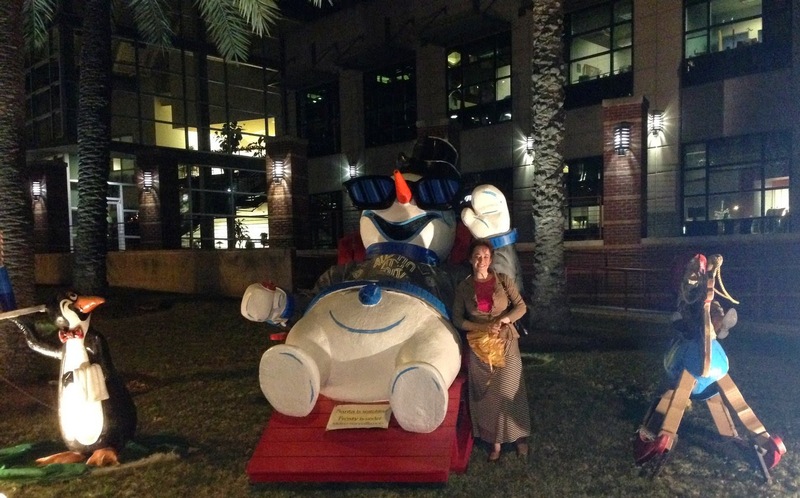 With Frosty and the gang outside GSD&M in Austin. 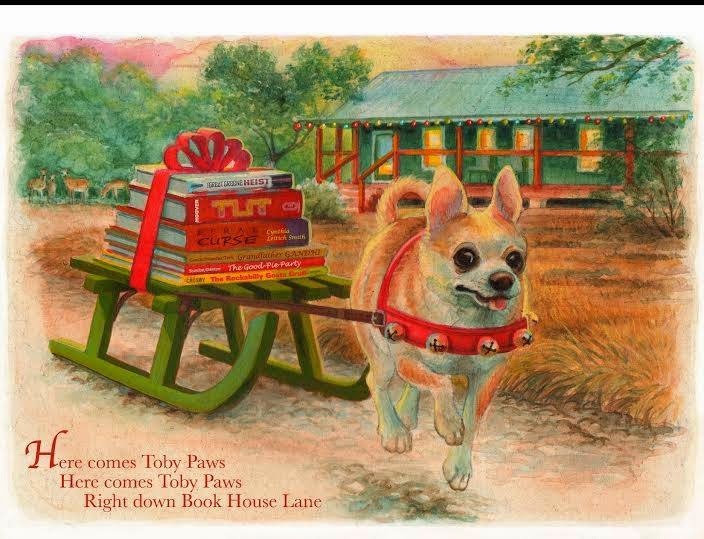 Feral Curse is on Toby Paws' sleigh on The Writing Barn card by Jeff Crosby. 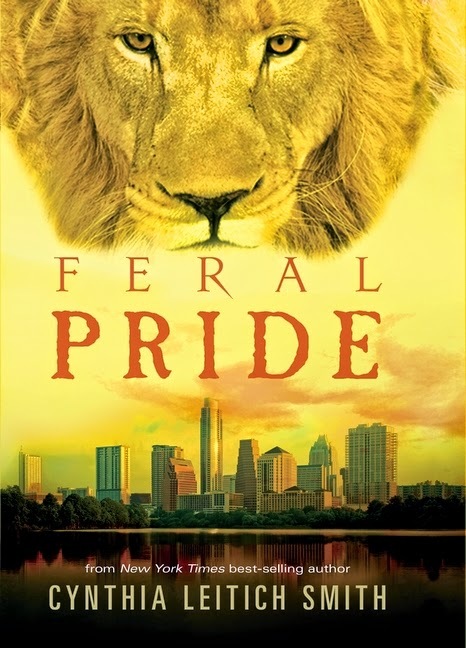 School Library Journal says of Feral Curse: "Smith once again weaves an action-packed plotline with campy alternating narration by Clyde, Aimee, Kayla, and Yoshi, all while dealing with the complex themes of acceptance, tolerance, freedom, and self-esteem. All this is done in a nonpreachy style to which readers can easily relate. A successful conclusion to a thought-provoking series." Link of the Week: Newbery/Caldecott 2015: The Final Prediction Edition by Betsy Bird from A Fuse #8 Production at School Library Journal. See also Cry to the Captain by Kara Stewart at From Here to Writernity.